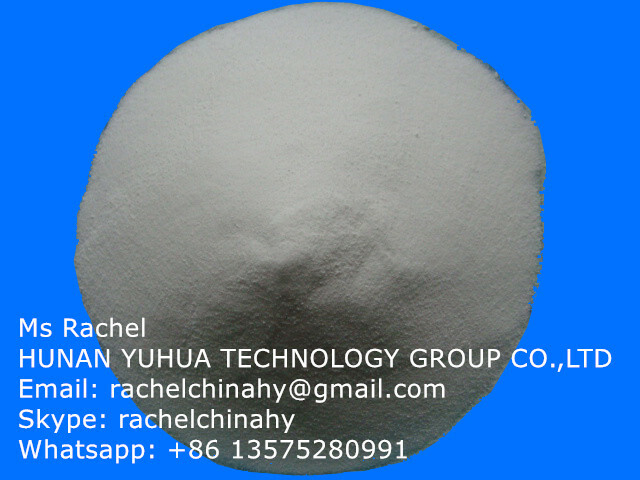 Our HUNAN YUHUA CHEMICAL GROUP CO.,LTD was established in Hunan province of China in April 2002. It ls a high-tech private enterprise integrated in production and export of sodium bicarbonate(baking soda). In terms of production resources, sodium bicarbonate could be made mainly from the local abundant resource of rock salt by the method of double decomposition in our company. Within the whole industry of producing sodium bicarbonate with double decomposition in china, the backing soda provided by our company owns several unique features such as the most stable product quality and the most successful productive technology. So far, our company has reached the annual production capacity of 2000,000 tons for sodium bicarbonate. Our leading product, “XUEHUA” sodium bicarbonate has a few significant characteristics: good and natural crystallization, coarse particle, high whiteness, no agglomeration and stable and reliable quality. So far, our “XUEHUA” brand backing soda has become the symbol for sodium bicarbonate industry and the first choice of global sodium bicarbonate industry. Pls feel free to contact me with rachelchinahy at g mail dot com.